OPEN HOUSE in the Hamilton catchment this coming Sunday July 27th from 2:00 - 4:00 pm. Great value for mint condition. Super functional floor plan, offers 3bdrm, 3 bath plus 2bdrm/3 bath LOFT STYLE legal suite on the side-LEGAL SUITE is like a TOWNHOUSE. This home overlooking to greenbelt with full privacy. Features kitchen w/SS appliances, BAY WINDOWS, living room with laminate flooring & French doors, master w/5 pce, ensuite w/jacuzzi, walk in closet & private balcony. Den on main is being used as a bedroom. 2 bdrm suite has master w/5 pce ensuite w/jacuzzi & 4 pc bath & a powder room-rents on a monthly basis for $1500/mo. Dble garage! Storage crawl space under house caters to owner & tenants. Tenants has separate utility source & parking access. 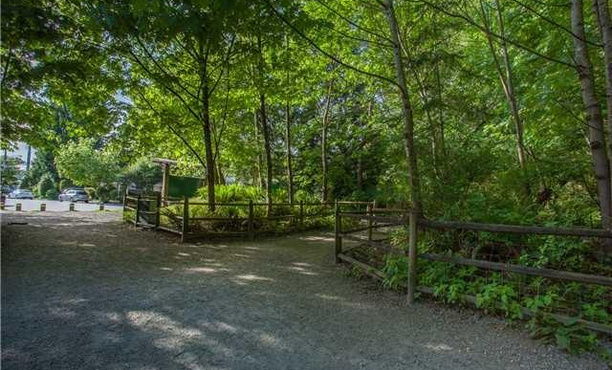 Steps away from Capilano Mall transit, parks & shopping all nearby.